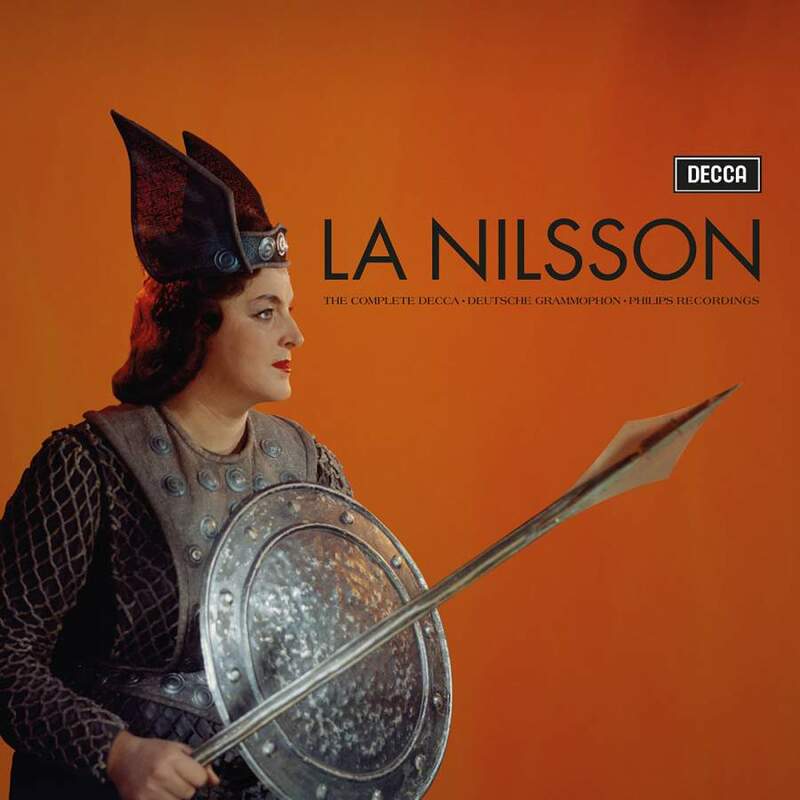 La Nilsson did not have a creamy voice of sheer beauty: hers was a powerful laser, a combination of silver and steel, formidable at the top, and her stamina made her the perfect singer to battle the orchestras of Richard Wagner and Richard Strauss. Of the latter, her famous Salome and Elektra recordings are here (with Georg Solti), and Die Frau ohne Schatten, in which she sings the role of the Dyer’s Wife. 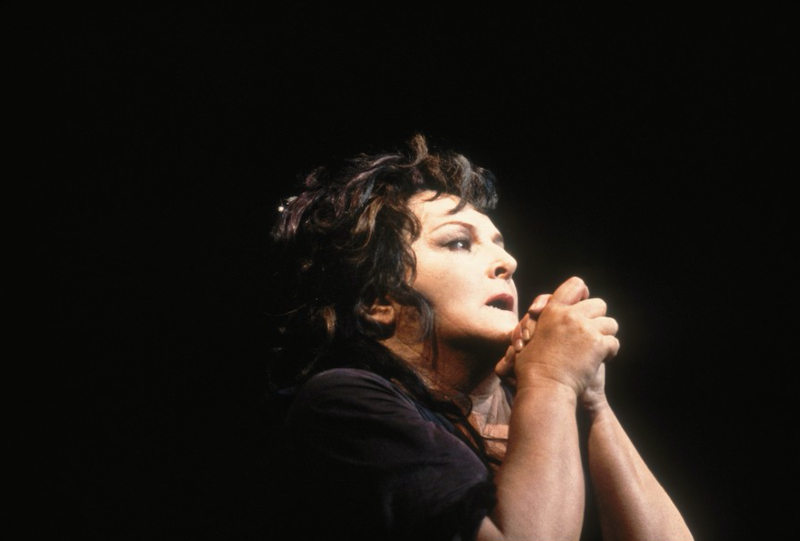 Her Wagner recordings include two Ring Cycles (as Brünnhilde), the groundbreaking Solti set and a live cycle from the 1967 Bayreuth Festival under Karl Böhm. Both are exciting performances: unlike some singers, Nilsson did not only come alive in front of an audience. Each Ring usefully includes Das Rheingold, in which she does not figure. A 1963 Decca disc of Wagner, Beethoven (Fidelio) and Weber is to my mind preferable to a recital from 10 years later of Wagner’s Wesendonck Lieder; this was not a voice that scaled down effectively. More fun is her Minnie in Puccini’s La Fanciulla del West. Though not the first soprano you would associate with Mozart, she sings in two recordings of Don Giovanni: as Donna Anna to Leontyne Price’s Elvira, and then as Elvira with Dietrich Fischer-Dieskau as Giovanni. Rare works include Weber’s Der Freischütz and Oberon, the latter with the young Placído Domingo, and a disc of songs by Jean Sibelius and Edvard Grieg. And then there is Turandot: a signature role in which Nilsson was a powerhouse. We have two choices: a 1959 RCA recording with Jussi Björling and Renata Tebaldi, and a 1965 EMI recording with Franco Corelli and Renata Scotto. Sensational singing and ordinary conducting in both. Sony continues to reissue interesting operas that have been lurking in the vaults for some time. 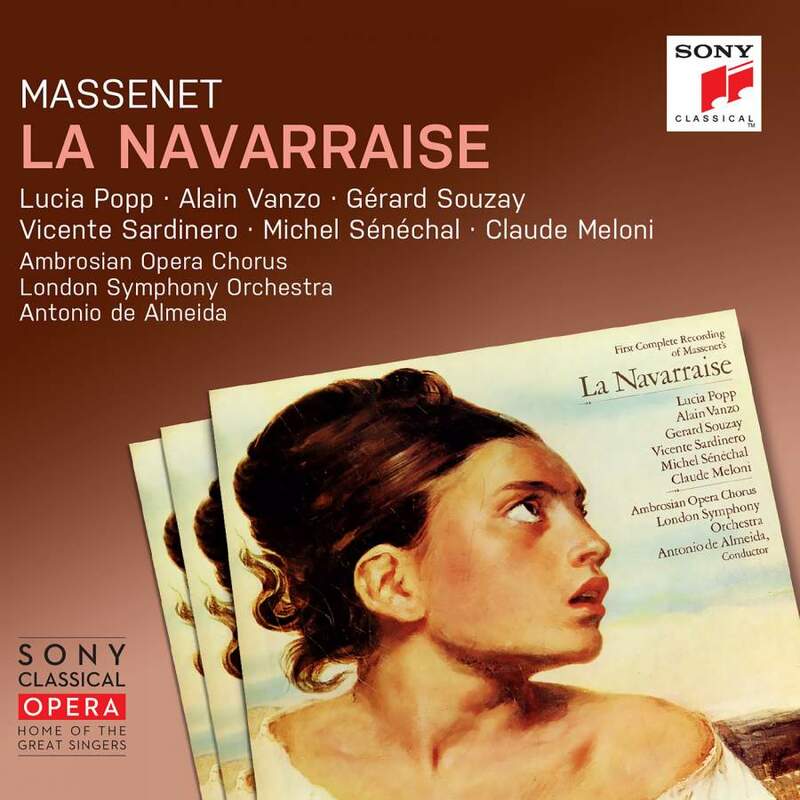 One is La Navarraise, regarded as Jules Massenet’s answer to Italian verismo, and paired in its early years of popularity with Cavalleria Rusticana. Massenet’s 40-minute, two-act opera has the usual ingredients of lust and murder, and a title role with a suicidal mad scene. Antonio de Almeida conducts the London Symphony Orchestra in this searing 1976 recording, generally regarded as the best. Slovak soprano Lucia Popp was famous for coloratura roles like Mozart’s Queen of the Night, but here reveals a more dramatic side to her art. The other roles are filled by top French singers of the period, notably baritone Gérard Souzay (a little past his prime by then) and the woefully under-recorded tenor Alain Vanzo. Massenet’s score is tautly structured and the cast’s involvement is total.